A survey of Chattanooga and Hamilton County leaders shows sharp divisions on Tennessee Gov. Bill Lee's proposals for a school voucher plan and for granting the state greater authority in approving charter school applications. Members of the Power Poll, which is composed of influential residents here, narrowly oppose both in the most recent Times Free Press survey. 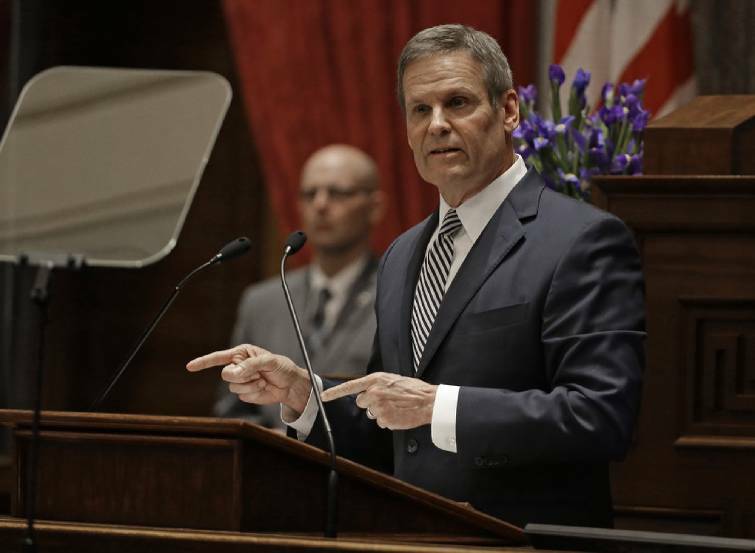 But the slim margin of opposition in the Power Poll numbers only highlights the controversy over the issues as they face debate in the Tennessee General Assembly. When asked, "What do you think of Lee's plan to introduce school vouchers in Knoxville, Chattanooga, Nashville, Memphis, and Jackson?," 49 percent of Power Poll members here said they are opposed. Forty-five percent said they are in favor. And 6 percent said they "don't know." When asked, "What do you think of Lee's plan to allow charter school operators to bypass their local school boards for approval and seek approval from the state instead?," 51 percent said they are opposed, 43 percent said they are in support, and 6 percent said they "don't know." › QUESTION: “What do you think of Lee’s plan to introduce school vouchers in Knoxville, Chattanooga, Nashville, Memphis, and Jackson? The Power Poll is not a scientific survey. But it is designed to offer insights into what community leaders think about current issues and events. Power Poll members are capable of steering a city's, or state's, discussion one way or another. Members come from a variety of fields, including politics and government, the private sector, nonprofits, the religious community, and more. This month's poll was underwritten by BlueCross BlueShield of Tennessee. Power Poll members in Nashville, Memphis and Knoxville answered the same survey questions. The total statewide Power Poll response in the state's four largest cities showed opposition to the voucher plan at 57 percent, support at 35 percent, and "don't know" at 8 percent. As to the charter schools proposal, 58 percent were opposed, 36 percent were in favor, and 6 percent were undecided. Lee's proposals to broaden school choice by introducing vouchers and easing the charter school approval process emerged as his most visible and hard fought policy issue in his new administration. The voucher plan would create education savings accounts (ESAs) in Tennessee, which would provide public money to parents allowing them to choose educational options other than traditional public schools. Those options would include private schools, various online education programs, and even use of the money to attend college. Earlier this week, the ESA measure passed its first test when it was approved by a House Education subcommittee. Lee's plan calls for allocating $75 million for ESAs over the next three years, with the plan initially targeting some 5,000 students in the 2021-22 school year. The program would expand by 2,500 students a year. The charter school bill has cleared the full House and Senate Education Committees but has been significantly amended. Lee's intention on the charter bill was to bypass the process by which charter school operators apply to their local school boards for approval and seed approval from the state instead. However, as amended, the measure still requires approval by local boards. Proponents of both measures include a number of pro-reform education activists who argue that vouchers and additional charters make greater choice available to students, particularly those students zoned in low-performing schools. They argue that many who stand to benefit are from low-income families who often don't have the resources to attend private institutions with better educational track records. Opponents at the House legislative subcommittee this week peppered sponsors with questions about how those using the voucher plan would find transportation to attend private schools. They voiced concerns about testing that would be conducted to track outcomes. And they also asked sponsors how the funds in the ESAs would be distributed to the parents of the students and what steps would be taken to prevent fraud. Bruce Dobie is president of Dobie Media Inc. in Nashville.